Sometimes mobs are bad and scary. They carry pitchforks, yell scary things, and generally cause destruction. Well, now that we think about it. 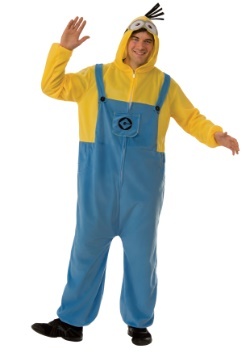 Minions do all those things as well, however, they are so much cuter than your typical mob! 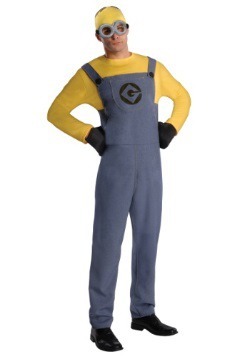 We honestly wouldn't mind a horde of minions trampling through our neighborhood. Their chanting isn't a boring, angry, sound cloud. It's much higher pitched and instead of our human vocabulary, they mix it up with their very own slang. 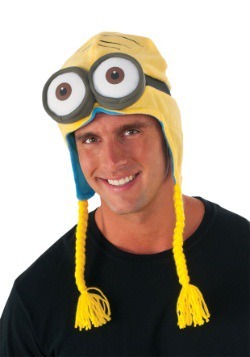 Of course, minion-hood isn't only about mobbing behind a villain. It's also about very silly hijinks! Mostly, all of their genius ideas end in three stooges style hijinks. Except their goofs include more explosives and bananas. 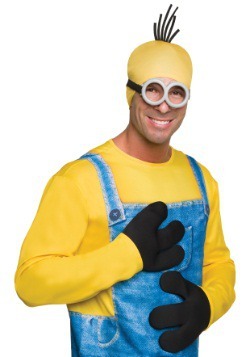 Now, if you want to stay away from the weird violence of most of these yellow little marshmallows, the best character to choose is the sweet and innocent Bob. He's childish and easily distracted so he often gets split up from the rest of the group which leads to wild solo adventures with his teddy bear. 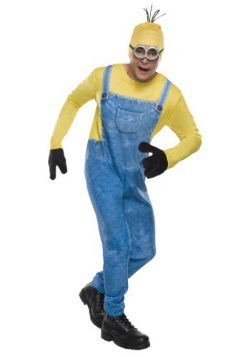 He'll follow anything with bananas on it so dressing up as Bob is sure to lead to wild adventures. 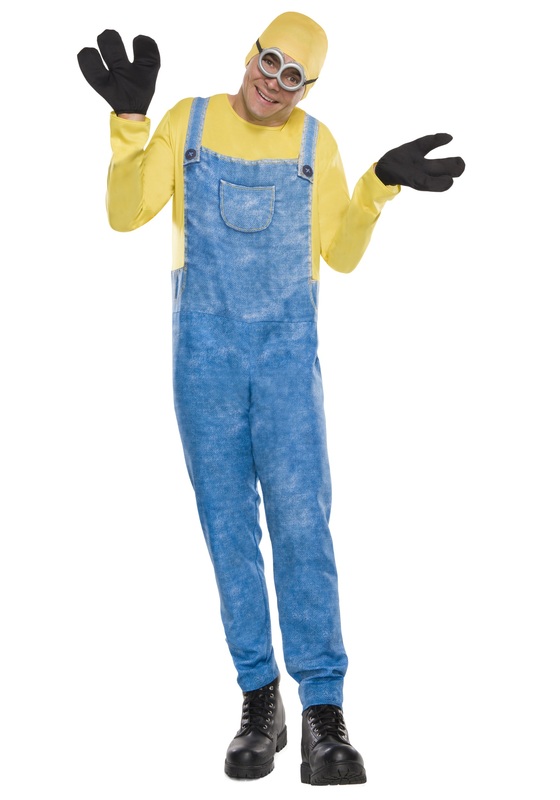 Whether you're dressing up with a bunch of other minions or you're setting out solo as Bob is apt to do, this costume is an easy way to go. 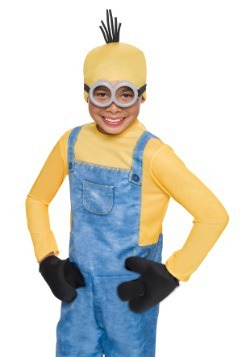 This costume includes a jumpsuit with hook and eye tape closures in the back. 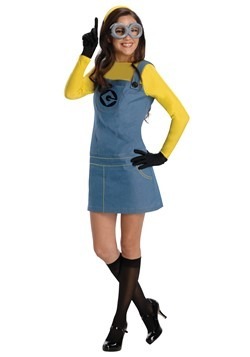 You'll also get that bald look with a yellow headpiece, a pair of adjustable rubber goggles, and black three-finger gloves. Pair it with a teddy pair to make your look complete. 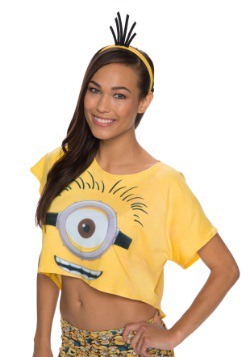 Who knows where a minion like you will end up! Standard - £43.99 X-Large - £43.99 Only 7 left!